I attended the Franklin, New Jersey, mineral show this past September. Although this show is relatively small and local, it usually does have several public display exhibits of interesting local minerals, especially Franklin and Sterling Hill minerals. 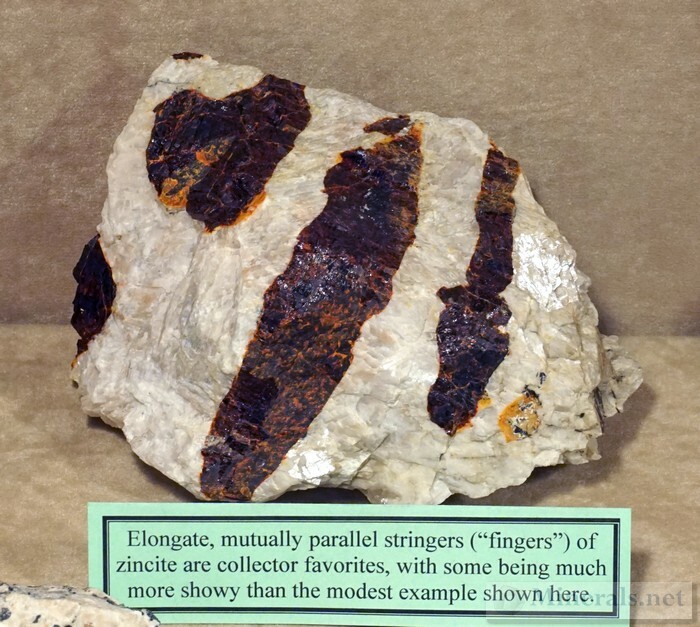 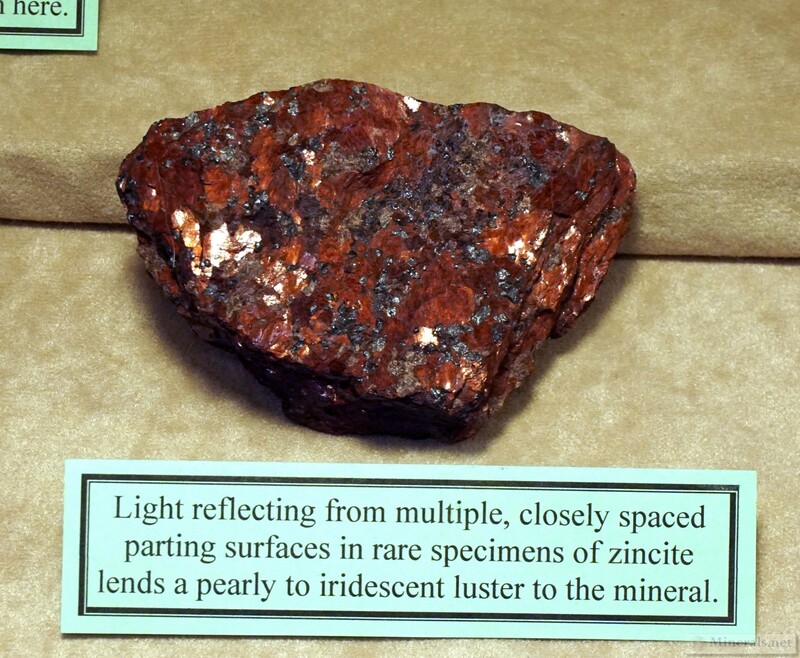 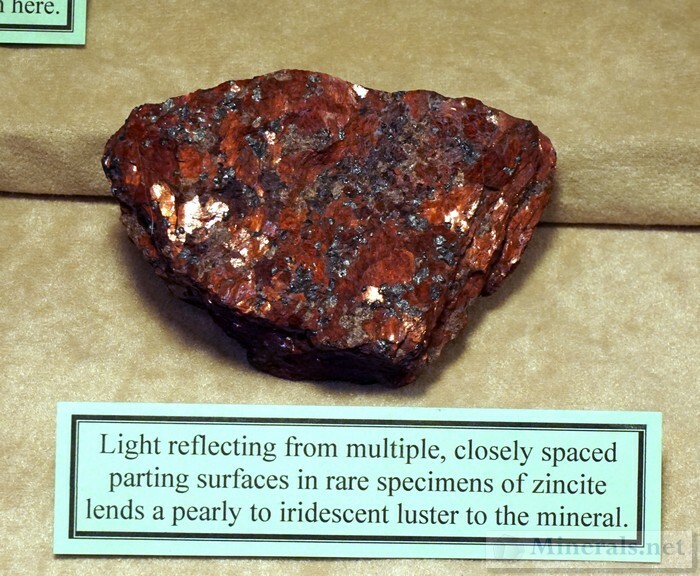 At this show, there were two display exhibits dedicated to Zincite which I found interesting. 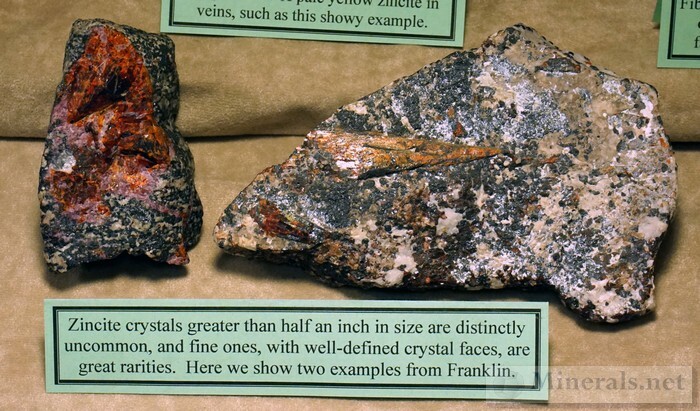 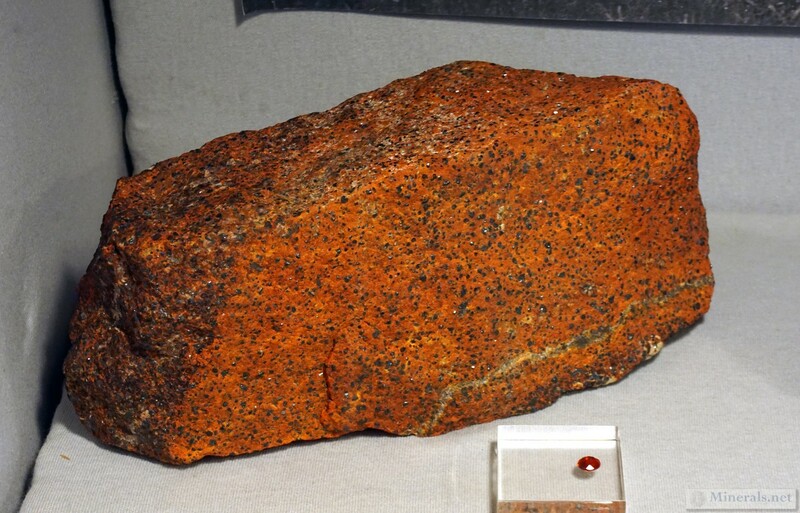 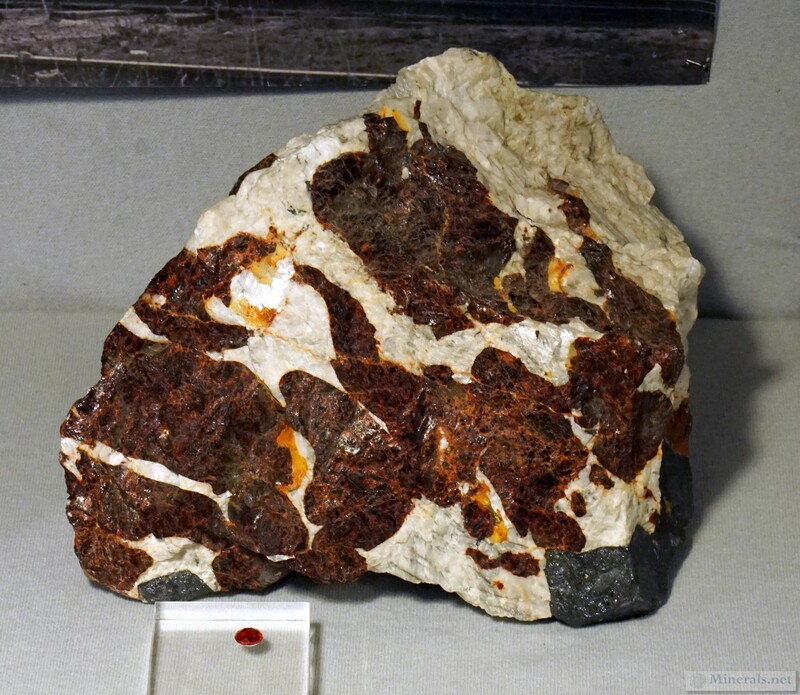 Zincite is an unusual mineral, and is found in a natural state only from the Franklin mineral district. 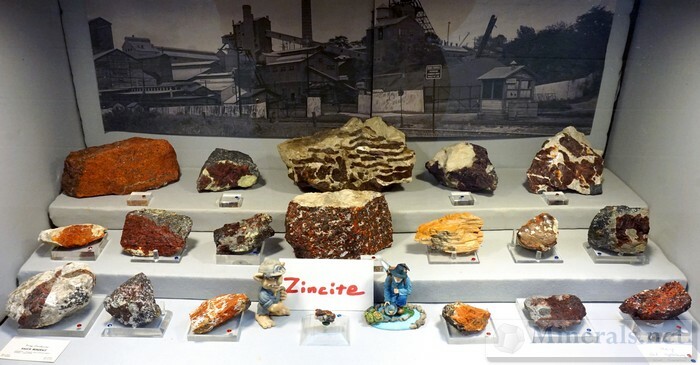 I photographed the Zincite specimen cases, as well as some of the individual minerals in the case. 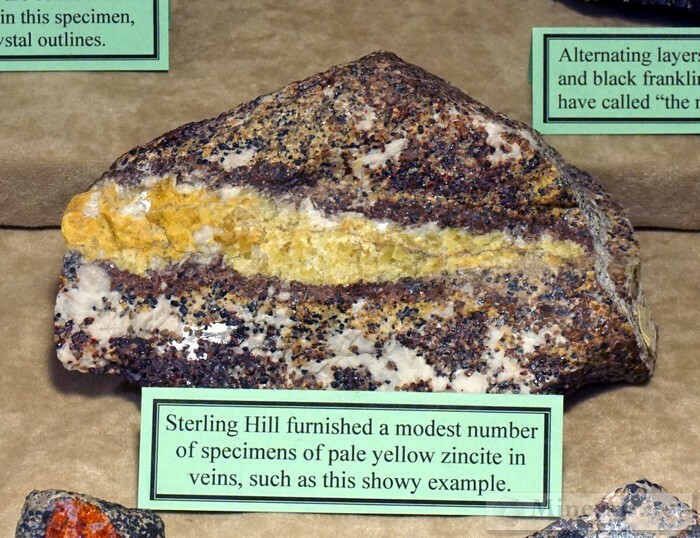 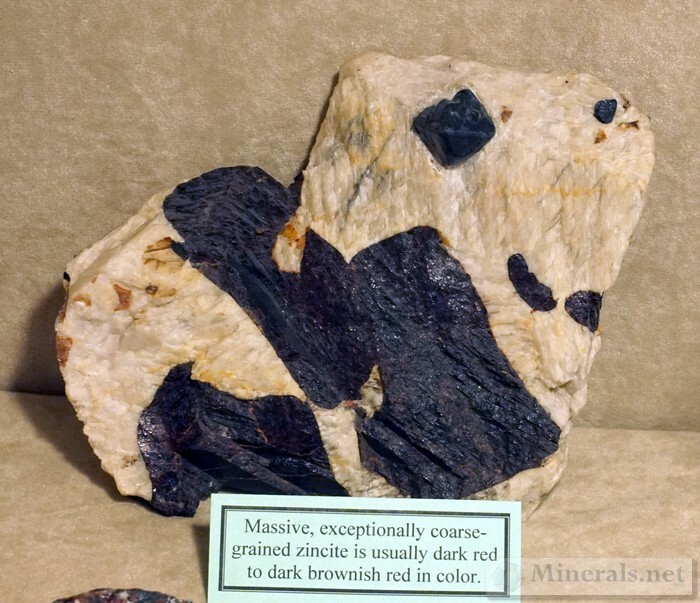 This post demonstrates an interesting variety and diversity of colors and habits of this mineral.